different social networking websites, such as Facebook and Twitter. The amount of Myspace profiles decreased drastically, and as this media was erased, the new websites became more popular than ever. This is much like Bolter’s idea of remediation, which identifies an example of new media multiplying by the day. As these websites and new ones continue to grow, more and more media will begin to be erased to create space for new fads. of print. 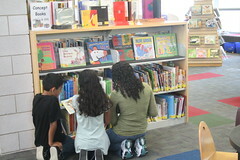 He discusses that “some educators imagine a classroom in which books are replaced by virtual environments,” (Bolter 5). I thought about my brother when I read this section, who is 13 years old. Now in middle school, his learning experience is much different than mine was at that age. 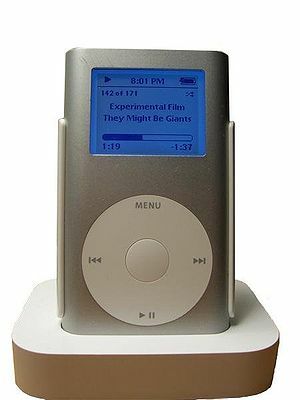 8 years ago, we had just begun using Macs, and the iPod mini was just released. Advanced technology was at a minimum, and I remember doing a lot more writing. My brother is in 7h grade and does not have good writing skills. He cannot spell, and has handwriting that is almost completely illegible. Now that technology has taken over the importance of print and classrooms are almost all digital, he has missed out on learning skills that will help him in the future. He completely refuses to write out anything, opting to use his computer or some other form of technology to do his work. The future of print seems to be on its way out, and I think that Bolter’s statement about teachers wanting a completely virtual classroom is unethical. The basis of school and learning is writing. Bolter’s ideas in these pieces of writing share thoughts about the future of print and the multiplication of media. This is completely different from when I was a kid, and I think that if this technology continues, basic learning skills are in danger of being unused. PS- Take this poll, please. In Jay Bolter’s article “Writing as Technology,” he describes that writing is a form of technology and it has evolved drastically. He argues that someone has to be able to read and write in order to successfully write and use it as a technology. If you cannot read or write, then you are not using writing as a technology. He also states how writing has been evolving into electronic configurations such as computers. Most of us, like myself, now use Microsoft Word in order to write papers or essays and do not use the form of hand writing anymore. I never write anything onto paper unless I am told to do so. It just seems like writing on a computer is now the new form of writing and many are used to it now just like me. He believes using computers as your technology improves someone’s writing which I feel definitely does for me. I am more involved and interactive on the computer. “Electronic writing still requires our physical interactions with terrestrial materials – with the keyboard, the mouse, and the computer screen” (Bolter 18). So even though we are not using a pen and paper, writing on technologies such as the computer still require our minds to produce the same ideas that we would write onto paper. Bolter also says how writing helps preserve knowledge and memory. Even though we do not write much on paper anymore and we have evolved into a computer age, it is still something that requires intellect. Bolter stated “The best way to understand electronic writing today is to see it as the remediation of printed text, with its claim to refashioning the presentation and status of alphabetic writing itself” (26). It is only a change in the form, but not a change in the material written down. Likewise in another Jay Bolter reading “Introduction: Writing in the Late Age of Print” he states “Word processing, databases, e-mail, the World Wide Web, and computer graphics are displacing printed communication for various purposes” (2). This is so true because the world today is turning to electronics in order to find out information or write anything. “…many texts may never be printed, but distributed in digital form” (Bolter 2) since that is the new trend that everyone relies on. For me, I like to read books in printed form with pages like the traditional way of reading. However, with our technology now, this is changing into digital forms of writing on iPads. Even though I like having the book in my hand, if I did own an iPad, I probably would buy books on there. Bolter states “The shift to the computer may make writing more flexible, but it also threatens the definitions of good writing and careful reading that has developed in association with the techniques or printing” (4). Writing on the computer may change the way a single voice might sound if it were written on paper. Traditional print makes it seem as if they are speaking to one audience rather than in digital text, it may appeal to a larger group.